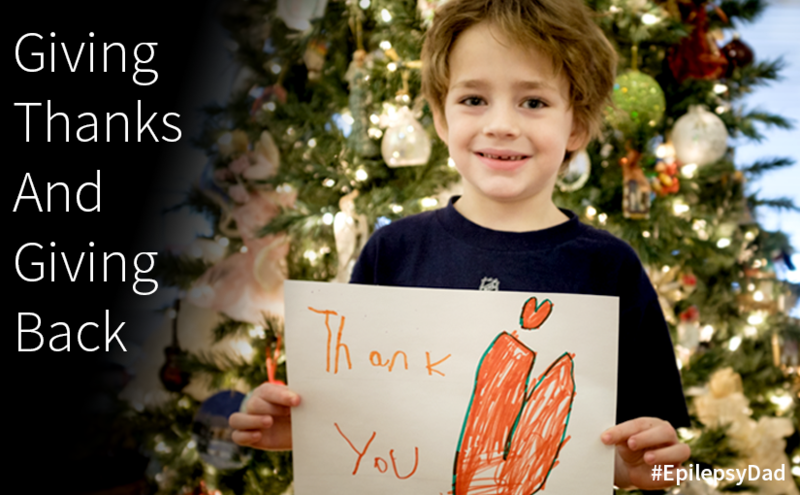 Each December, we make a special end-of-year donation to a charity. This year, we are giving thanks and donating to the organizations that helped my son and our family through our first year with epilepsy. We are very fortunate. Even though my son’s epilepsy is complicated, we have insurance, and I have a good job working with compassionate people who allow me to balance work with taking care of my son and my family. We’ve met a lot of other families that were less fortunate, and the groups that we are donating to this year provide help to everyone. That support and the research necessary to better understand epilepsy costs money, and that is why we are donating. If you are looking for a place to put a donation at the end of the year, each of these groups has had a direct, positive impact on my family, and I would appreciate any support you could give them. We spent more than two months on the Neurology floor in the Children’s Hospital of Philadelphia (CHOP). Many of those days, we were at the bedside of our son praying that the seizures would stop. Thankfully, we were able to eventually go home thanks to the many, many people at CHOP that took part in my son’s care. The doctors, therapists, Child Life Services, custodial staff, EEG and phlebotomy techs, volunteers, and especially the amazing nurses on the neurology floor, collectively took care of our son and our family, and we are unspeakably grateful. You can donate to the Children’s Hospital of Philadelphia on their Donation page. Our son has refractory epilepsy, which means that he doesn’t respond well to medicine. To help with his seizures, we were put on the ketogenic diet. At CHOP, on-boarding to the keto diet is a week-long inpatient process where the children are monitored while adjusting to the diet and where the families are trained on how to be successful with the diet, including classes in the Keto Kitchen on measuring and cooking keto meals. The Keto Team also hosts keto cooking classes, and fund a culinary intern to explore more creative, tasty meals for the keto kids. You can donate to the CHOP Keto Kitchen on their Donation page. When my son was diagnosed with epilepsy, we spent the first few months in the hospital surrounded by an amazing support network. When we left the hospital, though, we felt very alone. We didn’t know who to talk to or where to find more information about our new world. We didn’t know what resources we would need or what was available. We didn’t know how to talk to the people around us about epilepsy. Fortunately, the resources available through the Epilepsy Foundation and the Epilepsy Foundation of Eastern Pennsylvania (EFEPA) helped. We walked in their Summer Stroll and learned more about other programs they had for the epilepsy community. They also came in to my son’s school and talked to his teachers and classmates about epilepsy. When the world seemed big, and scary, and dark, EFEPA provided a bit of light. You can donate to the Epilepsy Foundation of Eastern Pennsylvania on their Donation page.